Lightly oil a ring-shaped baking tin and line the bottom with grease-proof paper. Sift together the gluten-free flour, gluten-free baking powder and xanthan gum. In a separate bowl, beat the dairy-free margarine with the sugar until light and fluffy, then slowly beat in the eggs and fruit juice. Add the gluten-free flour and mix well, then stir in the fruit until well combined. Spoon the mixture in to your prepared baking tin, smooth over the top and bake for about 40 minutes until light golden brown. 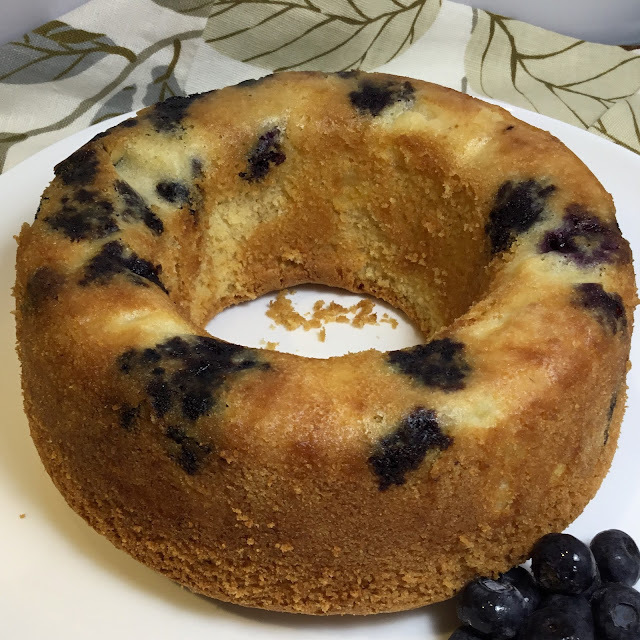 Serve with more blueberries, pineapple chunks and a vanilla sauce or custard.